A-HOTEL.com - Luxury and cheap accommodation in Karmala, Russia. Prices and hotel, apartment booking in Karmala and surrounding. Komfortnaia kvartira v Sortavala offers accommodation in Sortavala next to the Ayranne Lake. Sortavala Train Station is a 10-minute walk away. 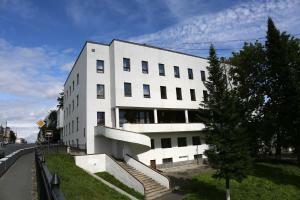 Offering free WiFi and lake views, Студия is an accommodation situated in Sortavala. Guests staying at this apartment have access to a fully equipped kitchen. Featuring a garden and a shared lounge, Apartment on Lenina 22 provides accommodation in Sortavala with free WiFi and lake views. Guests staying at this apartment have access to a fully equipped kitchen. 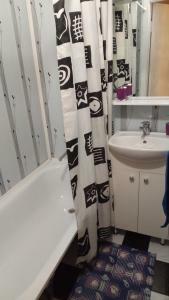 Lampo Hostel features accommodation in Sortavala. Both private parking and free WiFi are accessible at the hostel. Featuring free WiFi, Hotel Seurahuone is situated in Sortavala. The property offers a 24-hour front desk. Hotel Kaunis provides accommodation in Sortavala. Free WiFi is offered. Двух комнатная квартира на ул. Вяйнемёйнена is situated in Sortavala.